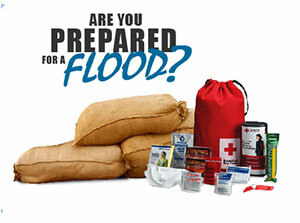 It’s up to all of us to prepare for a flood. 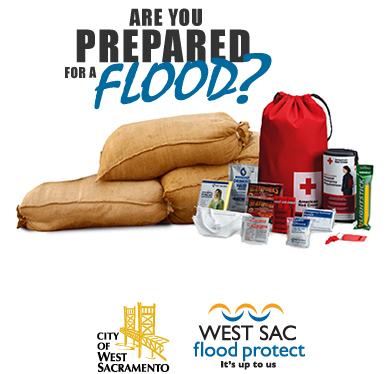 While West Sac Flood Protect actively works to improve your safety by managing levee improvements, it’s also up to citizens and business owners to be prepared. It’s up to families to prepare for a flood before it happens by making emergency kits, identifying emergency contacts and creating a plan. It’s up to property and business owners to purchase optional flood insurance. Almost 3,000 homeowners and business owners are already protecting their investments. It’s up to West Sacramento residents and business owners to pay for the local share of flood improvement projects. That local funding allows for state and federal cost-shares that cover up to 90 percent of project costs. Learn more about the history of the Sacramento River Flood Control System and West Sacramento’s levees. Watch this video produced by the U.S. Army Corps of Engineers. As we look to the future to protect West Sacramento residents, families and businesses, we know with certainty: It’s up to us. Play the new West Sac Flood Protect Flood Challenge game today!